On January 10, 2003, we received the diagnosis of Holoprosencephaly (HPE) for our unborn baby. The specialist described HPE as 10 times worse than Down Syndrome. On April 10, 2003, Samuel Aaron Harley was born weighing 6 lbs., 10 oz. If he were with us today, Sammy would be celebrating his 10th birthday on April 10. If he had been born without HPE, Sammy would be living a typical 10 year-old boy’s life, and we would be patiently waiting to see what he might grow up to become and how the adult Sammy might make an impact on the future world. 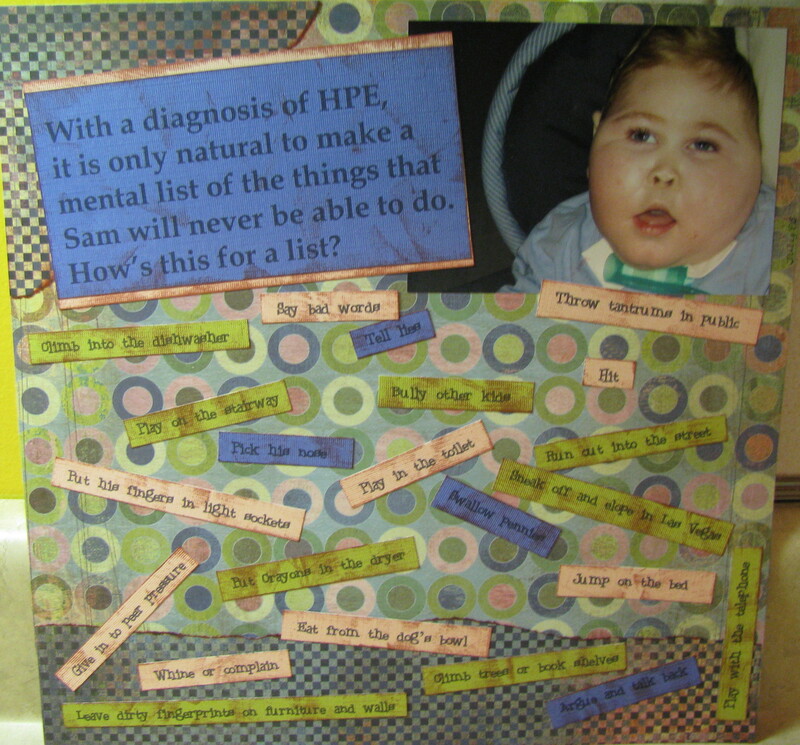 Instead, Sammy was born with HPE, and before he even left the womb, he was already making an impact on the world. In the 5 years he was here with us, he melted hearts by his sweet innocence, and he taught others through his determination and perseverance. In honor of Sammy’s 10th birthday, it seems only fitting to celebrate the number 10. What you see below is the formation of a ripple that started with Sammy, and I would ask you to help his ripple grow on this 10th birthday. Sammy was one of the children who helped inspire the formation of Families for HoPE, Inc., and I will be participating in the annual Walking for Dreams fundraising walk on Sunday, May 19 at the Downtown Indianapolis Canal. 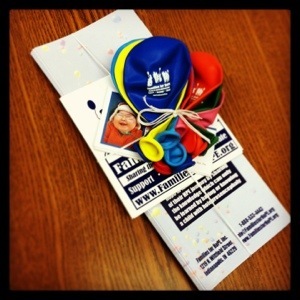 100% of the funds raised by my team directly benefits Families for HoPE. 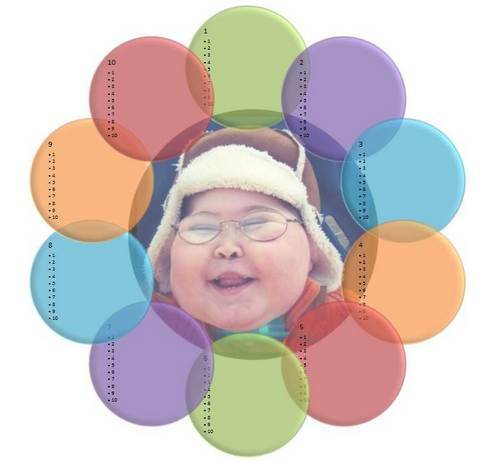 The first ring around Sammy’s photo contains 10 circles and within those 10 circles are room for 10 names. I am seeking 10 friends who will donate $10 to join my team and walk with me in honor of Sammy. Then, I would like those 10 friends to get 10 of their friends to donate $10, and ask those friends to consider walking with us in honor of Sammy, too. (Below is a picture of what my 10 friends will receive to share with their 10 friends.) My goal is to completely fill Sammy’s ripple with names to create my “perfect 10“. Now, imagine if those 10 friends asked 10 of their friends to donate $10 and they walked with us in honor of Sammy, too. Do you see the ripple forming? The thing about Sammy is that he couldn’t participate in an event like this because HPE made him unable to walk. Also, Sammy couldn’t ask you to donate $10 and walk on his team because HPE made him unable to talk. He couldn’t walk or talk, yet he made quite an impact on the world. Will you be a part of the ripple that Sammy started? Will you be one of my “perfect 10“ friends? If you would like to start your own ‘perfect 10″ ripple for Sammy, please email me at LeslieHarley527@gmail.com, and I will send you the file so that you can add your 10 friends and their 10 friends to the ripple. How’s this for a list? I thought I’d share one of the hundreds of scrapbook pages I’ve created over the years. When we received the diagnosis of Sammy’s HPE, we were given examples of the things that a child with HPE might never be able to do. Some of them were easier to accept than others, but by far the hardest to hear was, “You need to be prepared to love a child who may never be able to show you love in return.” That one cut to the core. The first meeting I had with Sammy’s neurologist took place in my hospital room just two days following Sammy’s birth. He came into my room, introduced himself, and he sat down to talk with me. I can remember his exact words. . . “I’ve just come from evaluating your son and reading the scans of his brain. As was expected from the prenatal ultrasound, I can confirm that he does have holoprosencephaly. As a result of that diagnosis, I could give you a list of all of the things that your son will never be able to do; however, I don’t do that anymore. I find that as soon as I say those things, these kids will prove me wrong; so, I’ve learned to just keep my mouth shut and let these kids show me what they are going to do.” In that moment, I knew that this physician would be a great member of Sammy’s medical team.